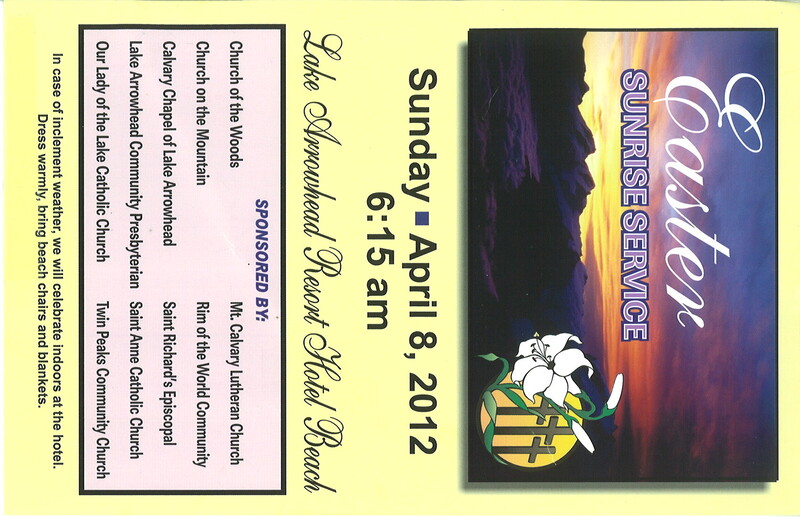 Easter Sunrise Service in Lake Arrowhead, CA will be held at the Lake Arrowhead Resort Beach on Sunday April 8, 2012. If you’re looking for a great way to start your Easter Sunday then head over to the Lake Arrowhead Resort on Easter Sunday. You will be in for a treat as this is always a great service with a bit of a play, some music and neighbors.